Being exposed to phthalates - which are found in a wide range of household products including shampoos, perfumes, hairspray, and floor and wall coverings - while in the womb may make kids more likely to have delays in developing language, according to Swedish and US scientists. They brought together data on phthalate exposure during the first trimester and children's language development from two studies - one Swedish and one US - including a total of 1,333 women. 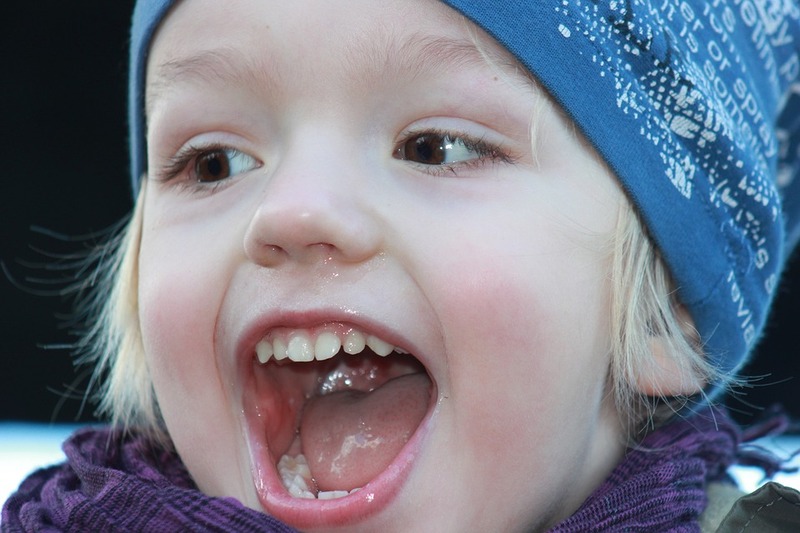 The Swedish data strongly suggest increased phthalate exposure increases the chances of language delays, but the US data is less conclusive, they say. Decreasing the amount of plastic in our lives is not only good for the environment, new research suggests it may also help children develop language skills. Data extracted from a Swedish study looking at children with asthma and allergies and from an American study looking at children’s development, have identified exposure to phthalates, (a class of chemicals released from flexible plastics into the environment) may affect children’s language skills. Looking at over 1300 mother-child pairs, the researchers found women who had higher levels of phthalates in their urine measured during the first trimester, were more likely to have children with delayed development of language. Delayed language development is known to be associated with poorer school performance and an increased need for special educational support. This same class of chemicals have previously been shown to be “endocrine disruptors” which have antagonistic effects on male type hormones that in animal studies have led to male genital abnormalities. Previous studies have also suggested an association between phthalate exposure and delayed psychomotor development in affected children. While this new research may appear to support previous associations, it is important to point out it is by no means conclusive evidence and there were a number of issues with the study design. The two studies were not specifically designed nor powered to answer the question of whether phthalate exposure affected language development. The mothers' urinary phthalate levels were not all measured at the same time and not analysed using the same techniques. It is too early to definitively suggest exposure leads to language delay BUT it does provide another reason to try to decrease the amount of flexible plastics like that found in flooring, food packaging, toys, personal hygiene products and even medical supplies that we are exposed to. Phthalates are a group of structurally related chemicals and are used mainly as plasticisers to increase flexibility and durability of plastic materials. They are found in many plastic consumer products, including adhesives and glues, paints, food packaging, children’s toys, electronics, flooring, medical equipment, personal care products, air fresheners, pharmaceuticals, and textiles. They are commonly found in the home environment and our exposure occurs through ingestion, inhalation, and dermal absorption. This means that most people are exposed to them on a daily basis. Some of the low molecular weight phthalates, such as dibutyl phthalate (DBP), as mentioned in the study, are widely used in cosmetics and personal care products (e.g. perfume, hair gels, hair sprays, body lotion, deodorant, aftershave and nail polish) where they stabilise fragrances. Previous research has found that women tend to have higher concentrations of certain phthalate metabolites in their urine and this is suspected to be from higher use of cosmetics and personal care products, compared with men. Prenatal exposure to phthalates has previously been linked to adverse impacts on the development of the male reproductive tract. This study showing the potential for prenatal exposure to be associated with language delays is of concern, especially given how widespread exposure is. Almost everyone is exposed to phthalates at low concentrations, they are difficult chemicals to avoid completely. Although further research is required to confirm these findings, it is well worth pregnant women and also those hoping to conceive, considering reducing their use of cosmetics and personal care products, particularly the highly scented ones and trying to use unfragranced alternatives as this will help to reduce their exposure. Melanie McGrice is an Advanced Accredited Practising Dietitian with a Masters degree in nutrition. She is a founding member of the Early Life Nutrition Coalition. Try to carry fruit and veg in brown paper bags rather than in plastic. Most importantly, don’t worry, but do remember that small changes all make a difference. This study in >1,300 mothers and children in Sweden and the US showed that the mother's exposure to common environmental chemicals called phthalates during the first months of pregnancy is associated with the likelihood of their children having poorer language development measured at 2.5 to 3 years of age. The link is stronger in boys than girls, consistent with the particular ability of phthalates to interfere with the actions of testosterone and the differential effects of testosterone in male and female brains. The findings are consistent with other studies linking phthalates with neurological development. This study does not prove a cause-and-effect relationship, but the likelihood of phthalates causing developmental problems is growing, given the growing number of studies reporting similar findings, and experiments in animals where causal effects can be demonstrated. It is important that pregnant women are aware of the possible problem of exposure to phthalates (as well as other endocrine-disrupting chemicals), and that manufacturers of personal and household products are required to product labels appropriately.